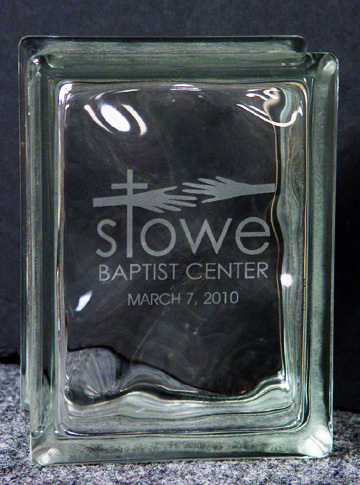 Laser engraving on clear acrylics up to 1/2" thickness, again offers a unique look. 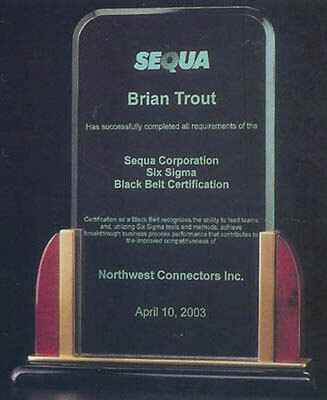 Engraving on the front or reverse engrave from the back, which gives more depth to the look.. 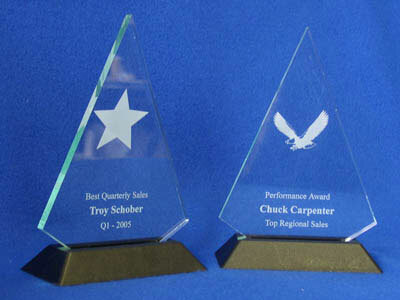 Reverse engraving and color filling can give some terrific looking contrast and added depth. The clear acrylics also come in tinted colors; green and blue, the engraved area take on the tint color, pretty neat looking.. Keep in mind the laser only recognizes black and shades of gray, having said that, it does a terrific job displaying the gradients. Check the gallery for an example. Two-ply acrylics offer some striking color contrasts, using the basic color palette for combinations of surface color and core color (core color determines the letter or logo color). Even when limited by the core colors you can still achieve some unique looks from the laser with its ability to engrave fine detail such as logos, clipart and photographs. 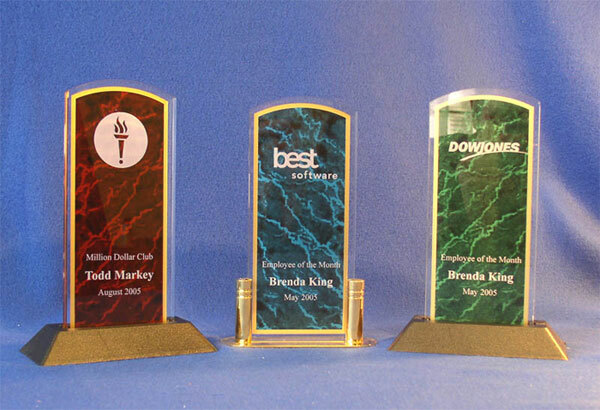 M & K Custom Acrylic Laser Engraving Disclaimer: We have provided this web site for informational purposes only about our custom laser engraving on acrylics. 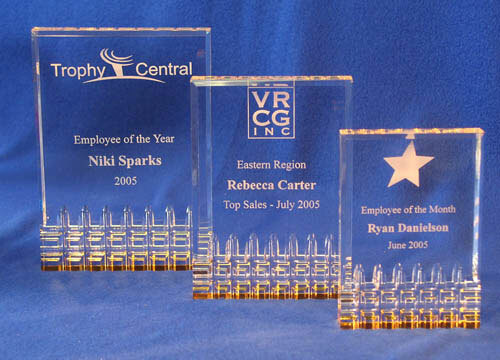 Although we have tried to provide the most current and accurate information, our custom and personalized laser engraved acrylic products and prices are subject to change.